Disney will be opening a theme park in Shanghai based on Disney’s popular animated film 'Zootopia'. Disney movie, Zootopia / Facebook. The Disney Resort in Shanghai announced a major expansion to its theme park. This will bring to life the characters and stories from the Academy Award-winning animated movie. It will be the first 'Zootopia' land at any Disney park worldwide. 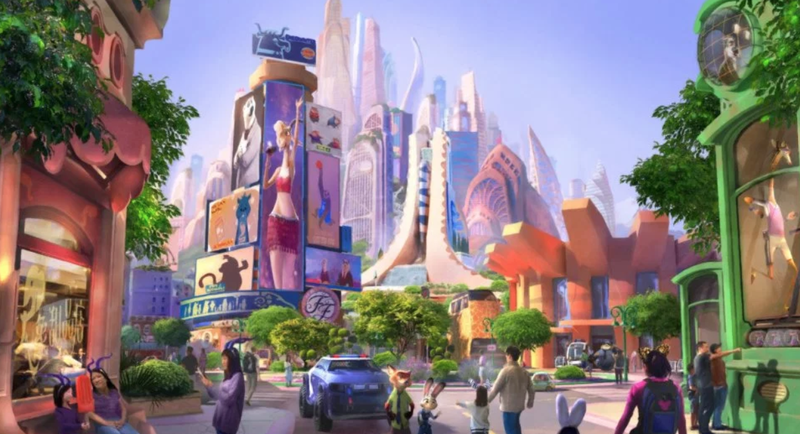 According to Bob Chapek, Disney's chairman of parks, experiences and consumer products, the new theme park will invite guests to fully immerse themselves in the mammalian metropolis of ‘Zootopia’ ‘where anyone can be anything,’. Theme park-goers will be able to go on an adventure with Judy and Nick, the lead characters from the hit movie. In a statement released on Disney's website, guests will be able to experience a new major attraction that seamlessly blends Disney’s storytelling and state-of-the-art technologies. 'As well as new entertainment, merchandise and food and beverage offerings that provide them with more to experience at Shanghai Disneyland than ever before." 'Zootopia' - which was released in 2016 - was a global success that broke box office records in China to become the country’s all-time highest-grossing animated feature film.